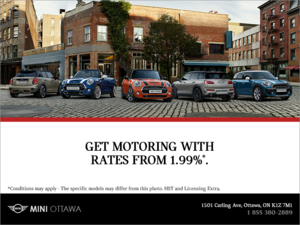 Mini Ottawa made our day. We love our new Mini and things went very smooth. Looking forward to the next 4 years!